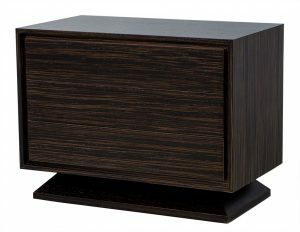 These Modern nightstands are custom made. 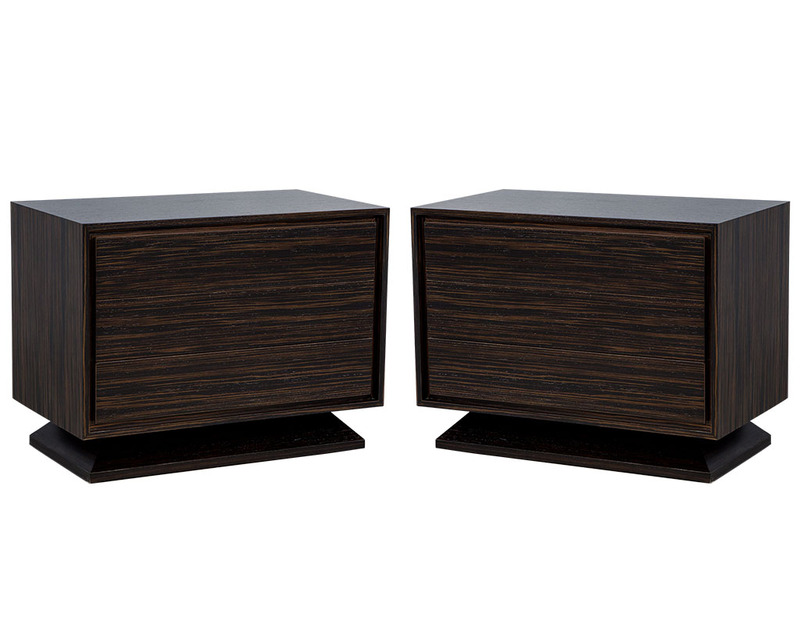 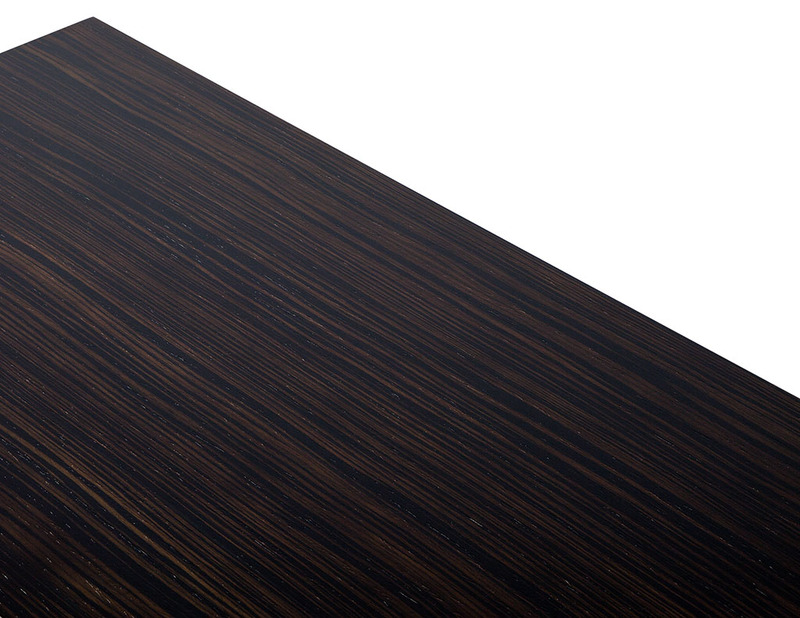 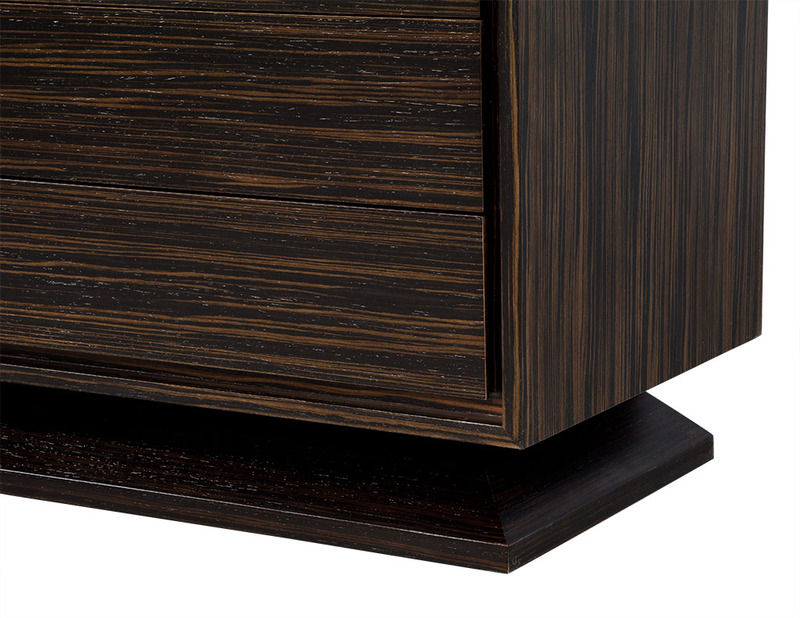 Each has beveled edges on the case and base and is finished in Macassar in a rich satin finish. 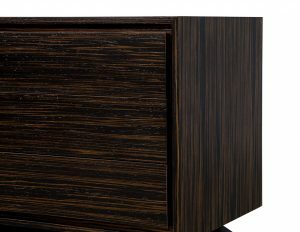 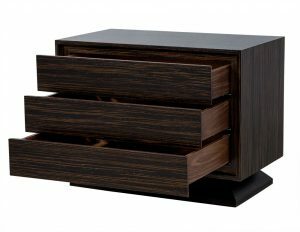 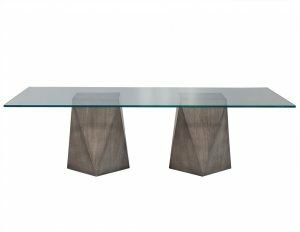 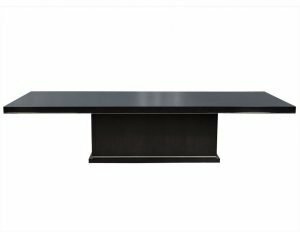 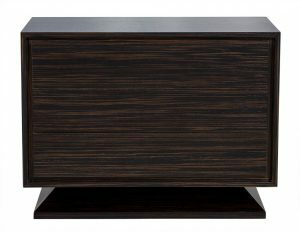 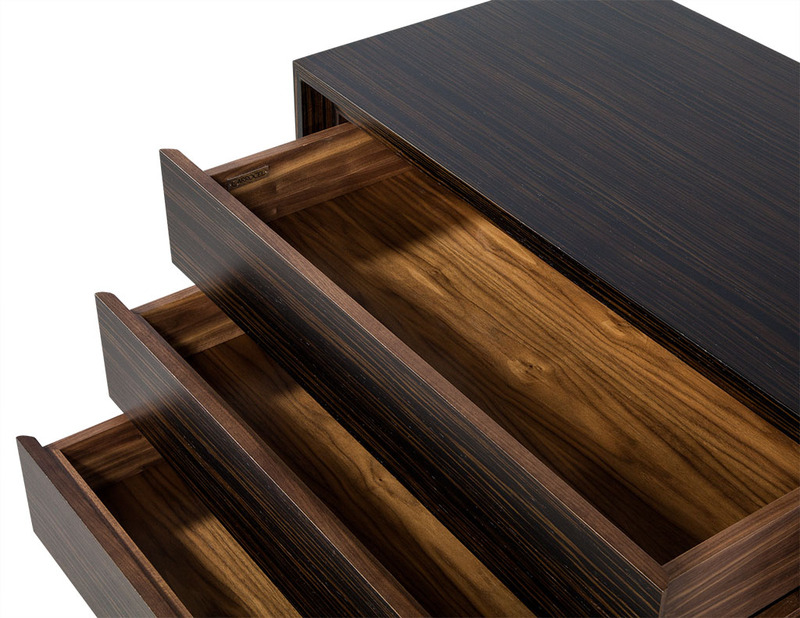 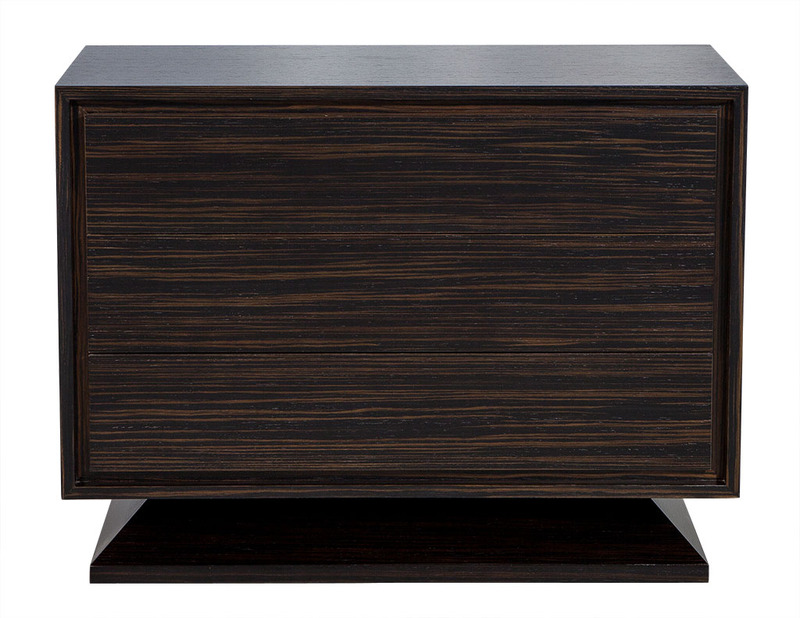 A simple yet refined piece, it is also functional with two soft-close walnut drawers. A perfect fit for any bedroom.